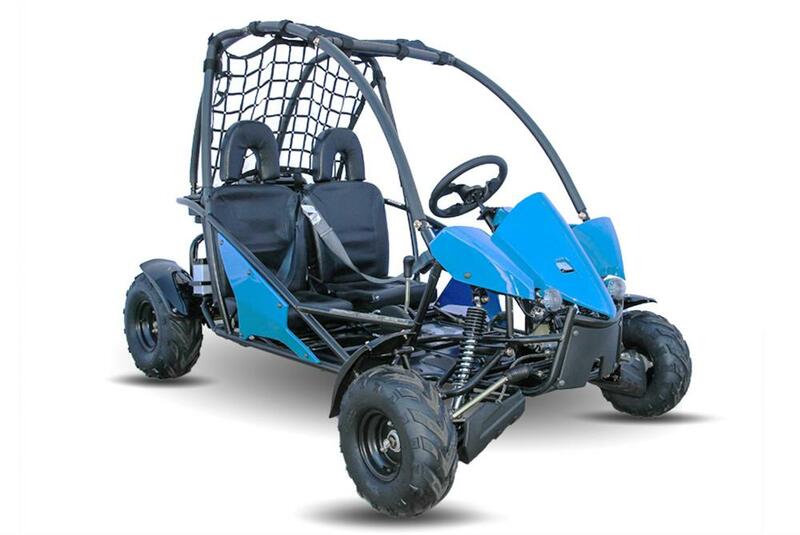 125cc Electric Start, 3-Speed semi-automatic with Reverse, Double Seat, Lights, Horn, Ages 6-12 KANDI. 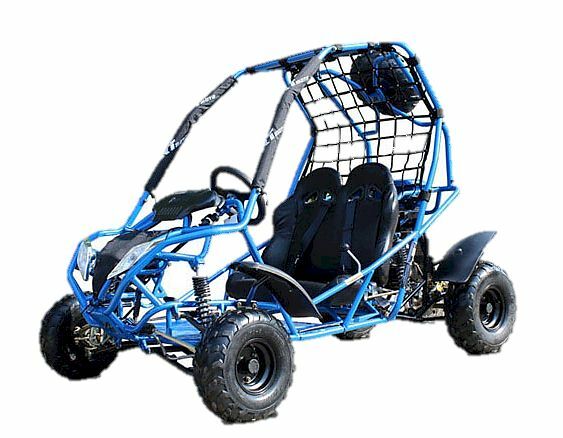 Mini 125 Kids Buggy Go Kart, add Battery Tender, Super High Quality Reliable Engine . Cannot be sold in California. 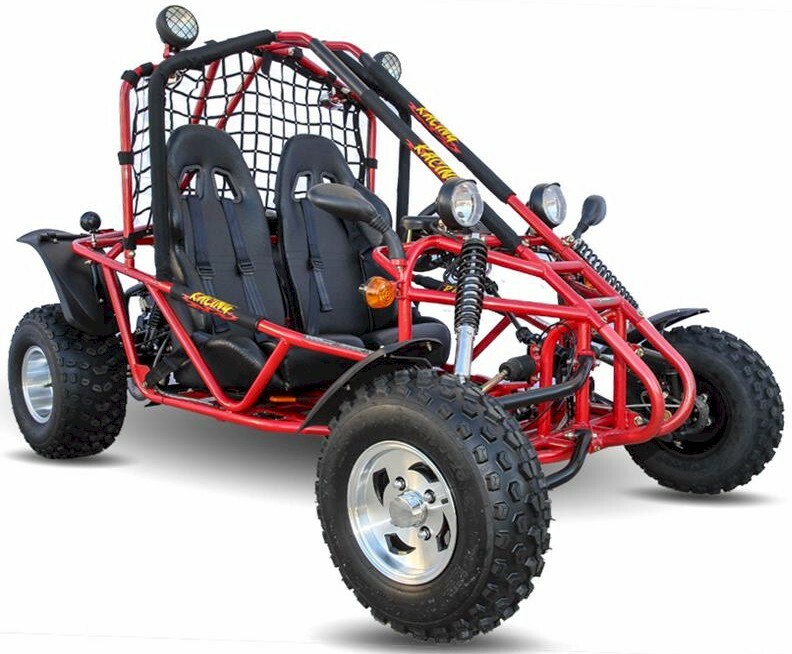 Length 77", Width 45", Height 48"
We bought this gokart for our son and were very impressed with the quality, not to mention the great service. 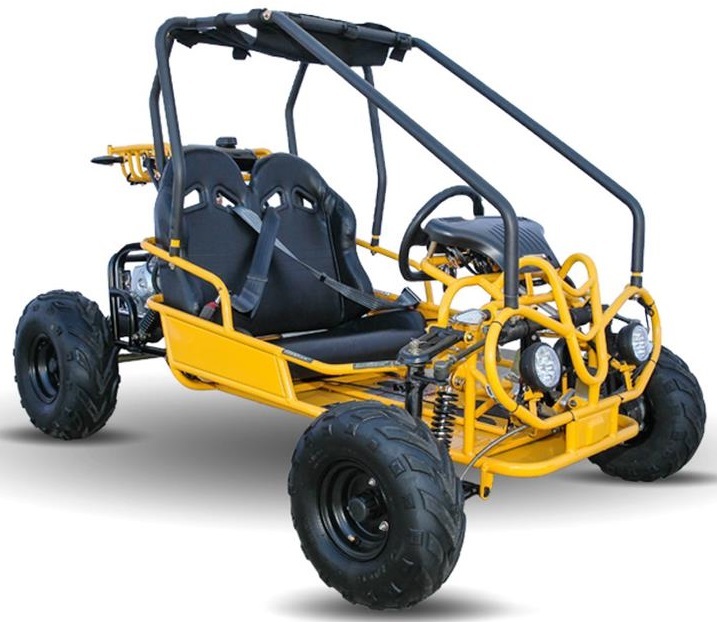 We were not sure which gokart to buy but you guys really helped us out. We had a little trouble with setup but that was cleared up with a phone call. These guys really know gokarts!! 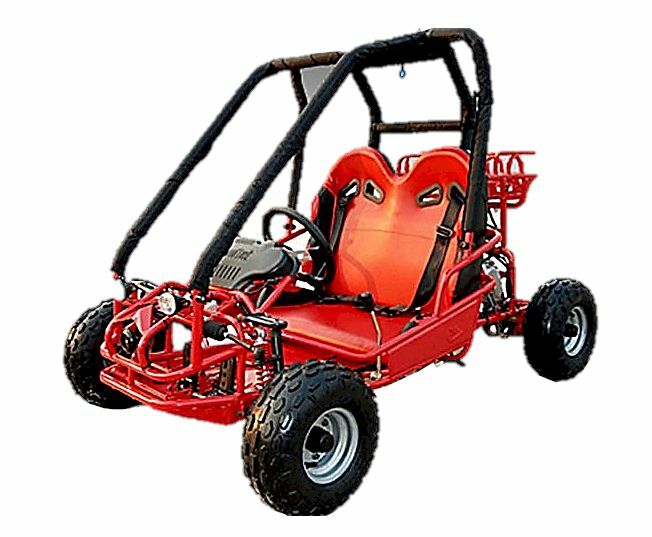 We ordered 2 of these One of the karts was damaged in shipping (not Gokartsusa's fault) but Gokartsusa sent us the damaged parts fast. We could not reach them by phone at first because we were calling too early -they are on California time and open at 9am Once assembled, the karts would not turn over with the electric key start. 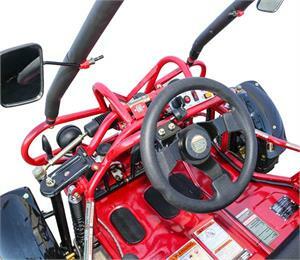 Gokartsusa said that there is a safety switch and the brake pedal must be depressed in order for the gokart to start. 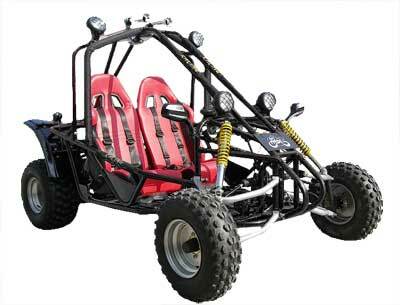 There is no mention in the manual (which is literal translated Chinese and comical to read). Calls to Gokartsusa get a recording stating that they are closed (even during stated business hours). When filling out a trouble ticket/email on line the form thanks you and then tells you to call them on the phone as they won't do anything unless you call. Pointless? 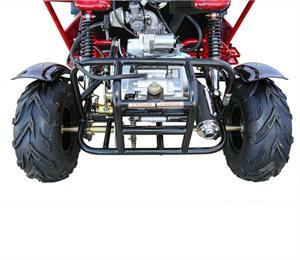 The welds appear reasonably clean and full depth. 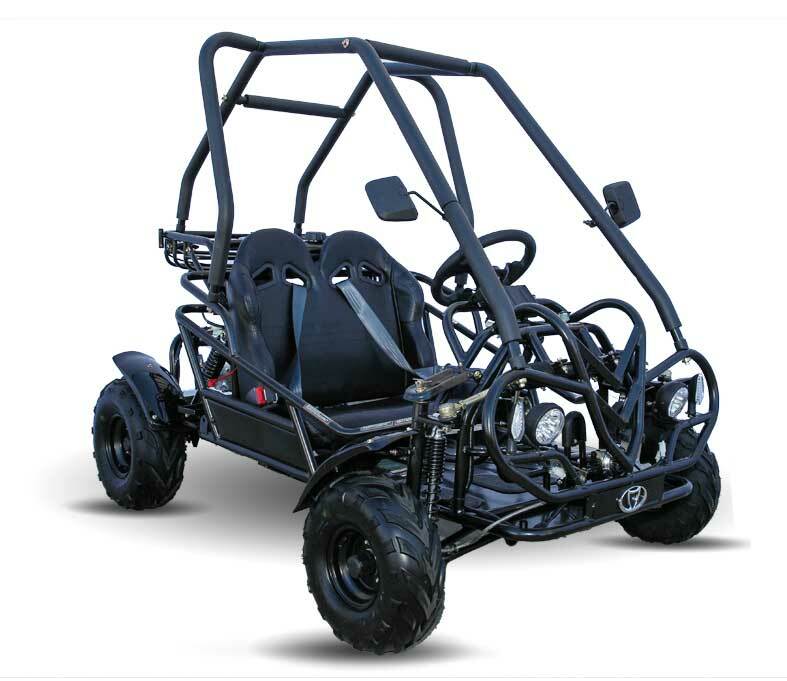 Once warmed up the clone engine runs smooth and quiet with a constant idle speed. The speed is more than adequate for the size driver that will fit in the kart. The pictures dont do it justice. 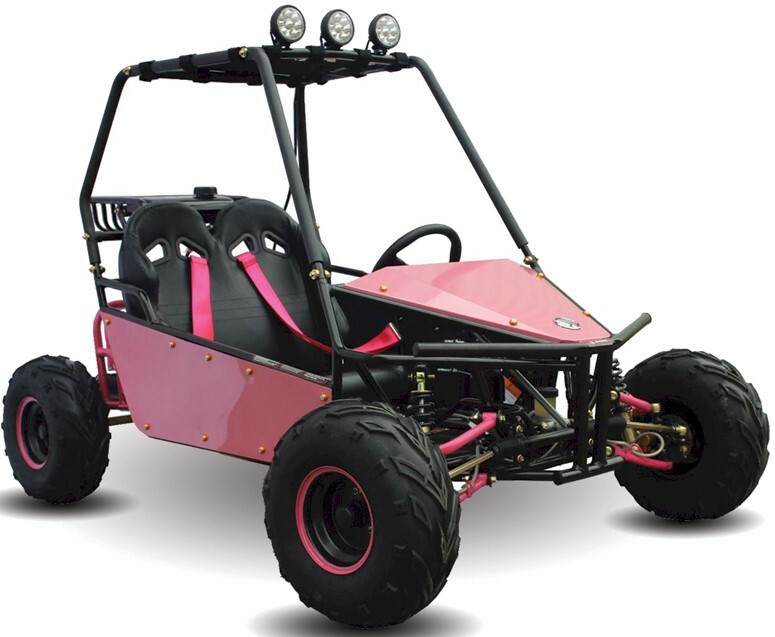 We are are very impressed with this gokart. Worth it at twice the price. Thanks! 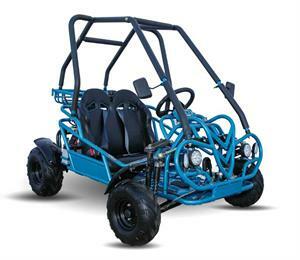 125cc, Fully Automatic with Reverse, Electric Start, Bucket style Double Seat, Disc Brakes, Seat belts. 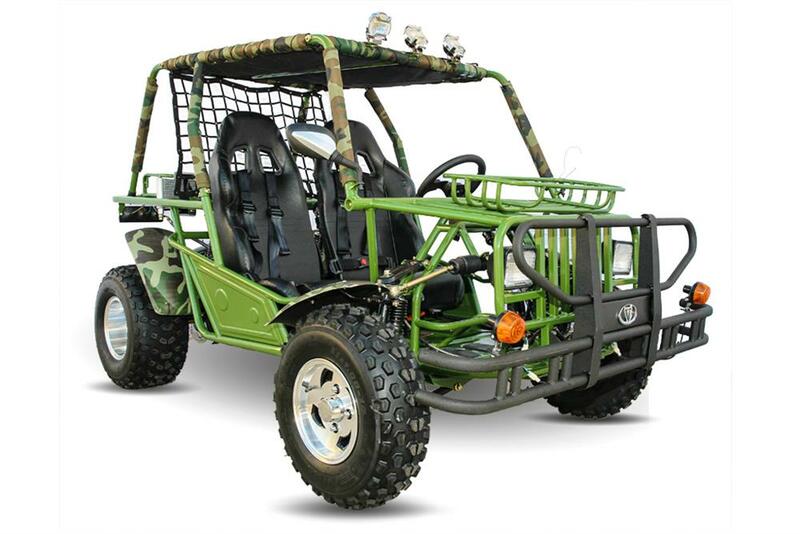 Cannot be sold in California. 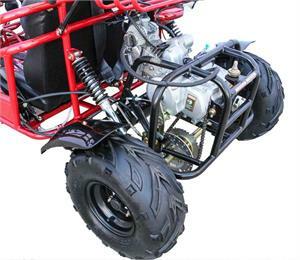 125cc, Fully Automatic, with Reverse, Electric Start, Live Axle, Diac Brakes, Double Seat, 16x8-7 Tires, Top Canopy, Headlights, Horn, Safety Harness. Mid Size Go Kart, with lots of leg room. 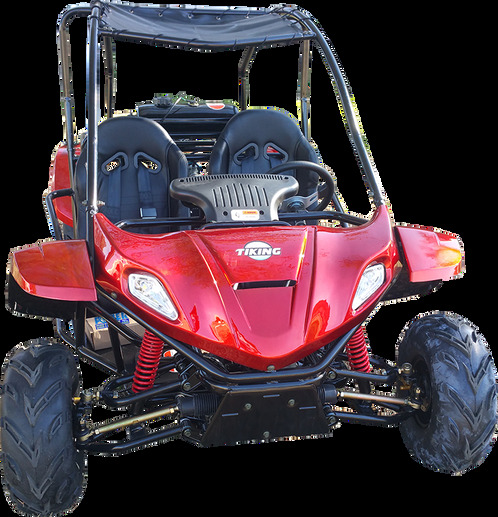 125cc, Electric Start, Fully Automatic, Double Bucket Seats, Disc Brakes, Live Axle, Speed Governor, Remote Start/Kill, Shoulder Harness, Lights, Horn. for Kids 6-11. Cannot be sold in California. Adult Size, 200cc, Electric Start, Fully Automatic, Double Bucket Seats, Disc Brakes, Live Axle, Shoulder Harness, Lights, Horn. 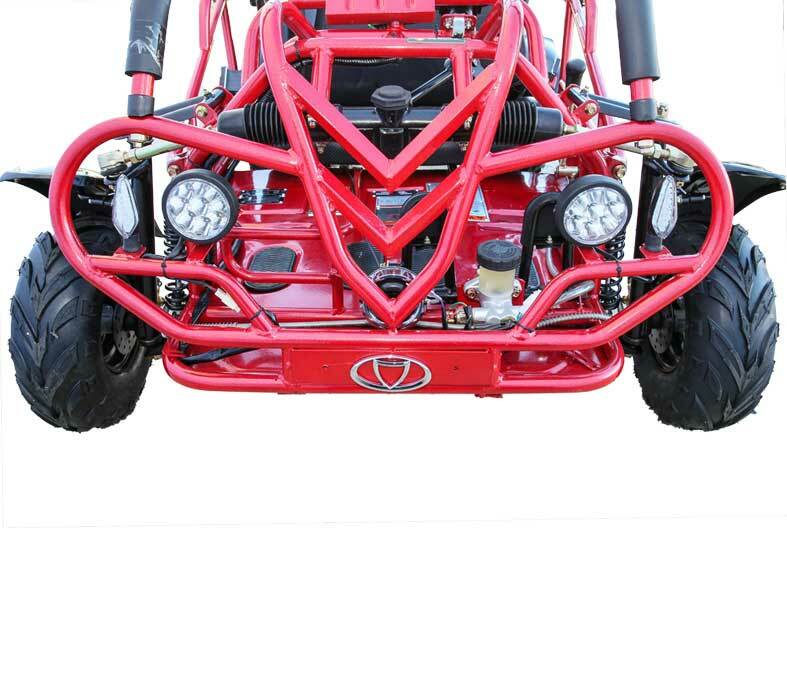 Sandrail Style 13.75hp, CVT Automatic, with Reverse, Electric Start, Full Suspension, Hydraulic Disc Brakes, Dual Adjustable Racing Seats, Dual Headlights, Tail Lights, 4-Point Harness. Featuring a Powerful 177cc 4-Stroke Oil Cooled Single Cylinder Engine with Electric Start. 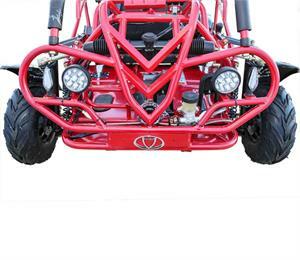 Some bonus features include; Aluminum Alloy Wheels, Full Hydraulic Disc Brakes, Safety Harnesses, and overhead Lights. 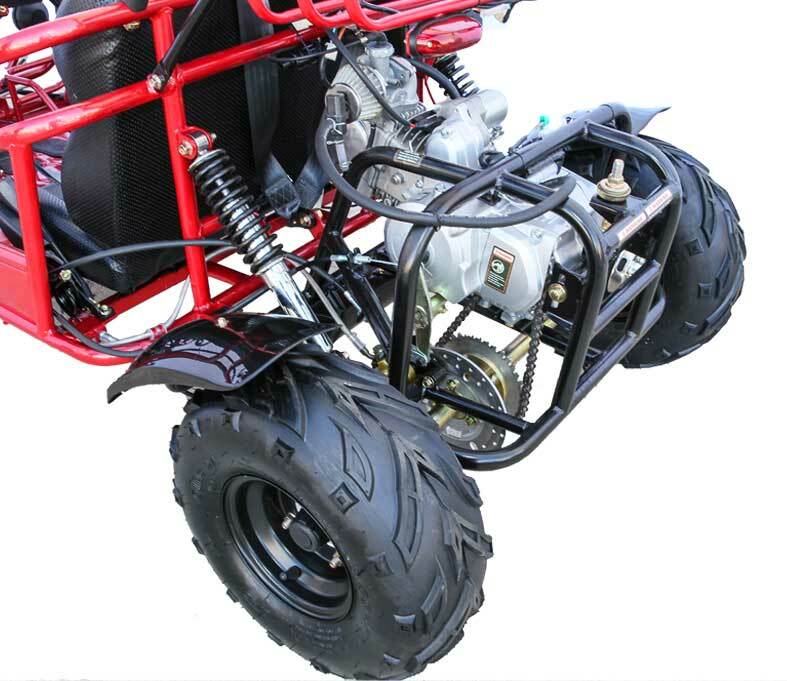 This Very Popular Buggy features a single cylinder 125cc air-cooled engine, CVT Transmission with Reverse, Disc Brakes, Lights, Turn Signals and Horn.